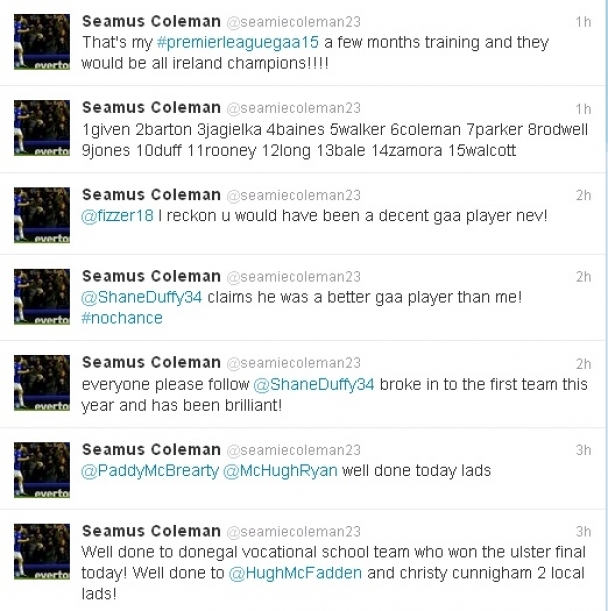 SEAMUS Coleman has congratulated the congratulated the Donegal Vocational Schools on winning the Ulster title – then went on to name the 15 soccer stars who would make it big time in GAELIC FOOTBALL. The Everton player became Jim McGuinness for the night on his Twitter account as he exchanged messages with fellow Toffee and Donegal man Shane Duffy. And there were just FOUR Irish players in his top GAA side picked from the Barclays Premiership – and thankfully he did put Lifford man Shay Given in goals. He even suggested that Joey Barton could mark the Gooch. “A few months training and they would be All-Ireland champions,” tweeted Coleman. 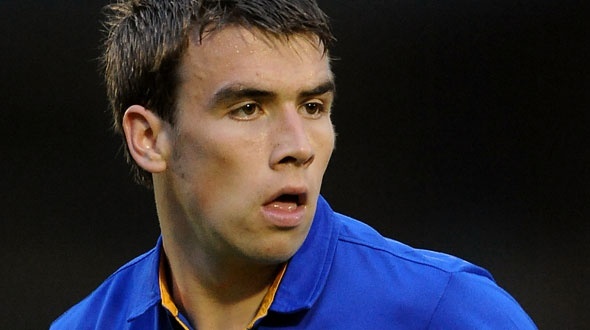 So without further ado, here’s Seamus Coleman All-Ireland GAA (Soccer Stars) XV.